Will Ajay Devgn’s latest international collaboration be a success? He entered the Hindi film industry when a hero was expected to carry a poster-boy image and be conventionally good-looking. Backed by his illustrious father, Viru Devgan, Ajay Devgn defied all the usual lover boy charms and made a flying start in Bollywood with his blockbuster debut movie Phool aur Kaante. 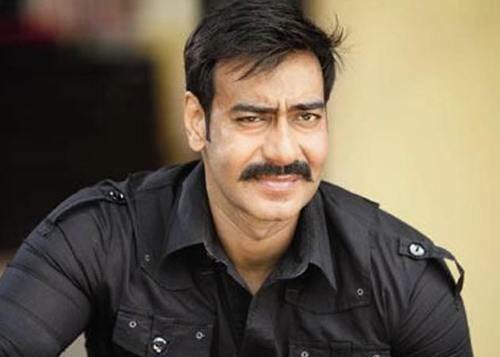 Today, Ajay Devgn has several box-office hits as well as critically acclaimed films to his credit and has also produced and directed films under his production house Ajay Devgn Films Productions. This two-time National Award winner has announced an ambitious project- launch of a US-based production house Shivalaya Entertainment in collaboration with Brillstein Entertainment Partners. Talking to media at a press meet, Ajay Devgn seemed excited about the partnership and proud to be a part of the changing face of Indian cinema. Will he succeed in this new venture? Ganesha finds out. Ganesha observes that Ajay Devgan is born with many planets in Pisces. Sun, Mercury, Rahu and retrograde Venus are in Pisces. Mercury is in Neech Bhang (cancels debilitation of Mercury). This is also a kind of Raj Yoga. Mars is powerful in Scorpio. Saturn is weak due to debilitation. Jupiter is aspecting it's own Sign Pisces. Currently, transiting Jupiter forms Square with the Stellium of planets in Pisces. It also forms Square with Natal Jupiter and Ketu. Saturn and Rahu are currently transiting in opposition to Natal Saturn. Considering all the aforementioned points, Ganesha feels that Ajay Devgn is likely to do something big during the year ahead. As a producer, Ajay will surely become famous, internationally. The year ahead is progressive for Ajay Devgn due to transit of Jupiter. However, it may not necessarily start paying him laurels immediately. The period between August to December 2014 and the second quarter of 2015 are rewarding time frames for the new production house that he has associated with. From September 2016 onwards, this newly-formed production house should start doing very well, says Ganesha.